More information on Crash Team Racing Nitro Fueled has been revealed, thanks to an interview Le Journal de Montreal conducted with Beenox’s Thomas Wilson, the game’s Co-Director. It had already been officially confirmed that the remaster will include updated Crash Nitro Kart tracks, new battle modes, and exclusive DLC content on the PlayStation 4, but now, even more details have emerged regarding the game. For starters, the original Crash Team Racing’s composers, Mark Mothersbaugh, and Josh Mancell, have been brought back for Crash Team Racing Nitro Fueled as consultants. 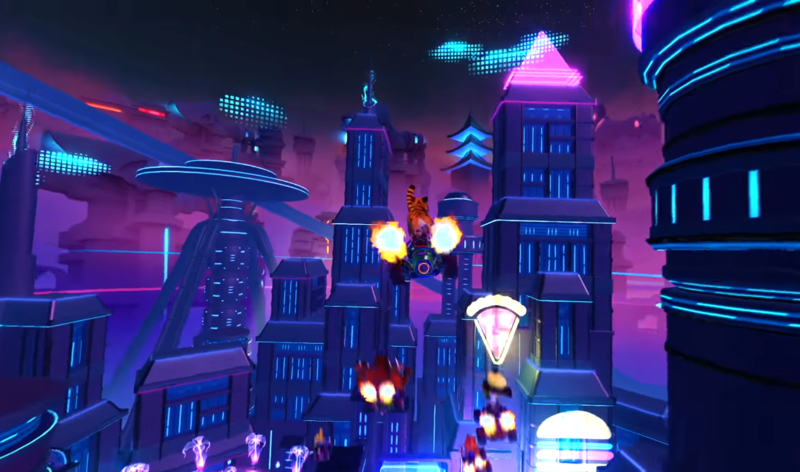 Beenox knows how important it is to nail the music in these remasters, and as such, players who purchase Crash Team Racing Nitro Fueled will be able to switch between the remastered music and the old game’s original soundtrack. This will no doubt please fans of the original game. For anyone who didn’t prefer the original music, they will be able to stick with the remastered soundtrack. Another thing that has been revealed is that Crash Team Racing Nitro Fueled‘s campaign will be split into two separate modes. One is the classic mode, which will function as expected, and the other is the Nitro Fueled mode. In the new Nitro Fueled mode, you will be able to customize your Karts and allowed to change characters at any time. I for one, am extremely excited for this remaster. I have very vivid memories of enjoying the original game at a certain unnamed friends’ house. As such, this game holds a special place in my heart. Hearing that the original composers have been consulted for Nitro Fueled is bringing back all sorts of childhood nostalgia. What about you? Do you think you will be making use of the soundtrack switching feature in this game? Will you be picking up Crash Team Racing Nitro Fueled when it launches on June 21, 2019? Let us know in the comments below!